On the Horizon, launched in 2018, is a biweekly e-newsletter sent to all AFC members. Horizon keeps members informed of upcoming professional development opportunities, events and meetings, calls for proposals, registration deadlines, AFC membership benefits and partnerships, and other information useful to have in advance. Look for the Horizon in your mailbox. MIssed it? Below is the most recent issue (best viewed horizontally on your mobile device). Nominations Close Soon for AFC's 2019 Conference on College Teaching and Learning Awards! Are you looking for opportunities to recognize your top faculty? Do you have academic stars who have had an impact on college teaching who deserve recognition? Does you college have an exemplary teaching and learning center? This year, the AFC's Conference on College Teaching and Learning is awarding $5,500 in cash prizes to two outstanding faculty members and a successful teaching and learning center. 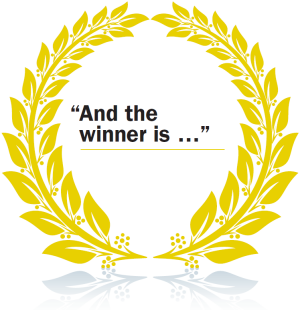 To learn more about the three award programs and how to submit nominations CLICK HERE. The AFC’s Conference on College Teaching and Learning provides a robust interdisciplinary forum for researchers, practitioners, and educators to present and discuss the most recent innovations, trends, and concerns, practical challenges encountered and the solutions adopted in the field of college teaching and learning. Join leading academic professors, researchers, and instructors to exchange and share experiences and research results about all aspects of college teaching and learning that ensure student success. Note that the Hilton St. Petersburg Bayfront hotel conference rate of $159/night has been extended to March 15th - don't miss out on this excellent value. For more details about the conference, including the draft program, hotel, awards, speakers and registration information click HERE. Next Tuesday has the distinction of being both Fat Tuesday and the opening day of the 2019 Legislative Session. Strap in because, as always, there's a lot to keep up with and it can move fast! No worries - the AFC has your back. Capitol Perceptions, the AFC's weekly publication during the legislative session, provides members with updates on current legislative issues relevant to state colleges and tracks their progress throughout the session. The first issue of this year's Capitol Perceptions will hit your email box March 11th. Lynn University is now providing education benefits to AFC members and their family. You're eligible for a waived application fee and tuition discounts up to 20% on any graduate or doctoral degree from Lynn (including your MBA). Online bachelor's degrees are also available. Plus, eligible family members of employees can enjoy your benefits with a 10% tuition discount on the online, graduate or doctoral program of their choice. Classes are held online or on campus in Boca Raton, Florida, where you'll learn alongside your peers with modules that fit your career path. CLICK HERE to learn more. Up to ten (10) scholarships will be awarded annually. Award amounts will be awarded up to $300 each. Funds may be used to cover costs of registration or enrollment, travel, and materials to any of the events listed above. For more information and to apply go to: http://www.myafchome.org/myafcscholarships. 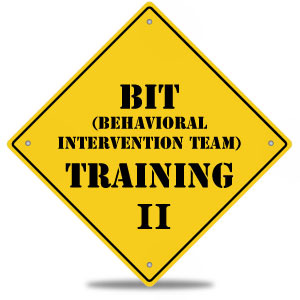 Behavioral Intervention Team (BIT) Level II Training and Campus Safety Symposium Coming in July! Understand the NaBITA Standards for Behavioral Intervention Teams. Effectively lead a BIT, including guiding the operations, group dynamics, and team supervision. Deploy effective interventions for cases referred to the BIT, utilizing a range of intervention techniques. Conduct violence risk assessments based on structured professional judgement, using the SIVRA-35. For more information on the AFC's BIT II Training opportunity and the 2019 Campus Safety Symposium, go to: https://www.myafchome.org/mycampussafetysymposium.